Is it time to replace your fence? Depending on the type of fence you have around your home, DIY fence removal might be the perfect option for you. If you aren’t an experienced DIY-er, consider calling the pros at Hercules Fence Richmond for your fence removal project. 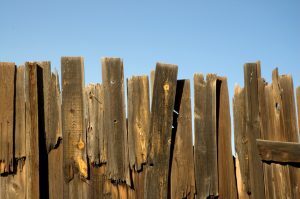 If you have a good deal of experience completing projects around the house, read on for our best DIY fence removal tips. Can You Take Down the Fence? This sounds silly, but do you know whose fence the fence in your yard is? If it’s only on one side of your home or backyard, it might belong to your neighbor instead of you. Especially if you recently moved into your home, check to make sure that the fence is yours to change before taking it down. Fence removal involves using power tools like saws and moving around heavy pieces of wood. Make sure that you take proper safety precautions in advance, including wearing hard hats and sturdy gloves to protect your head and hands from anything damaging. Also, pay attention to nails and screws and make sure that they are all picked up from your yard. A forgotten nail could turn into a pain in the foot for you or your family later. If the posts of your wood fence are still in good condition, DIY fence removal can be as simple as taking off the panels of the fence. If you want to do things quickly, use an electric saw to saw the fence material down to the posts. If you want to do a more thorough job, pull the nails out from the posts and remove the panel in a sheet. This entry was posted on Friday, March 17th, 2017 at 2:18 pm. Both comments and pings are currently closed.